Like the bus in Speed, China’s economy must continue cruising along or else risk imploding. How many remember the Hollywood film, Speed, starring Keanu Reeves and Sandra Bullock? In the movie, Reeves’ character must keep the Los Angeles bus he is driving above 50 miles per hour to prevent the bomb a disgruntled former bomb squad sergeant has planted from going off and killing everyone on board. The Chinese economy is currently like that bus in that it must stay above a certain speed. To fall below a set national growth rate will set off the bomb that is attached to the Chinese economy. Beijing sets a strict growth rate for its economy called the “red line” (hongxian). Under Premier Wen Jiabao, the red line was usually around 8 percent annual growth. Recently, however, this rate was lowered to 7.5 percent. Regardless if it is 8 or 7.5 percent, it is an unthinkably high rate for most countries in the world. Maintaining such a high speed is to prove especially difficult for China, though, given that it is now the world’s number two economy. Beijing is therefore playing a very dangerous game indeed. In China, growth rates have never been solely an economic issue. The growth rate is closely related to employment, employment with social stability, and social stability with political stability. Given the social and political implications of the unemployment rate, and the fact that China is endowed with a massive population, it should not be surprising that the Chinese government considers maintaining robust employment as its number one priority. Under Mao, and indeed through the middle of the 1980s, about 80 percent of China’s population lived in the countryside. Low living standards meant that many struggled for everyday survival, but they did not have as many social stability problems because people did not move around the country. Since China’s reform and opening up policy was instituted, and Beijing joined the WTO, millions of Chinese have left the countryside for employment in cities along the more prosperous coast. Living in these cities also has raised people’s expectations for life and work, making it hard for them to fathom ever returning to the countryside to farm. An exodus back to the countryside is further complicated by the fact that many rural migrants in China have had their former land plots seized by Chinese authorities to make way for new highways, express train railways and giant factories. So an economic slowdown in China today may generate social problems, such as unemployment, inflation, and social unrest. Only if China can maintain its high growth rate can it continue to meet the masses’ expectations for employment and living standards. Consequently, it is not fun to drive China’s economic bus. Several months ago, the bus changed drivers when Li Keqiang replaced Wen Jiabao as the premier, the official that usually takes the lead in steering the economy. Obviously, Li, with a Ph.D. in Economics from Beijing University, understands this situation and wants to try any means to get himself out from this awful position of having to maintain such a high level of growth. Recently, scholars and the media have been talking about the so-called “Li Keqiang economics” or “Likonomics.” In my view, the core ideas of his policies are geared toward weaning China off its dependence on maintaining a high growth rate. To do this, he wants to structurally reform the Chinese economy so that it is not completely reliant on government stimulus to maintain its speed. His first few months in power have already seen unusual fluctuations in growth, so we do not know yet whether he can be China’s Jack Traven (Keanu Reeves’ character in Speed) and remove the time bomb beneath China’s economic bus. While Li Keqiang is for sure in a difficult situation, it is not something that those outside of China can watch without consequences. China’s enormous growth over the past three decades means this economic game fundamentally affects the rest of the world. 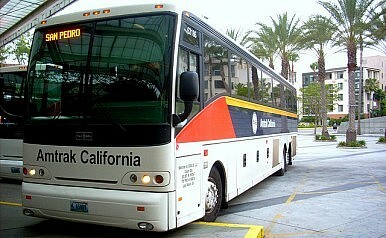 Globalization has tied the whole world to this bus because a failed China will be catastrophic for the global economy. Let’s wish Li good luck with his mission. Li Keqiang's Work Report: Old Problems, New Solutions? Li Keqiang's work report to the NPC highlighted reform efforts on issues that also plagued the previous government.